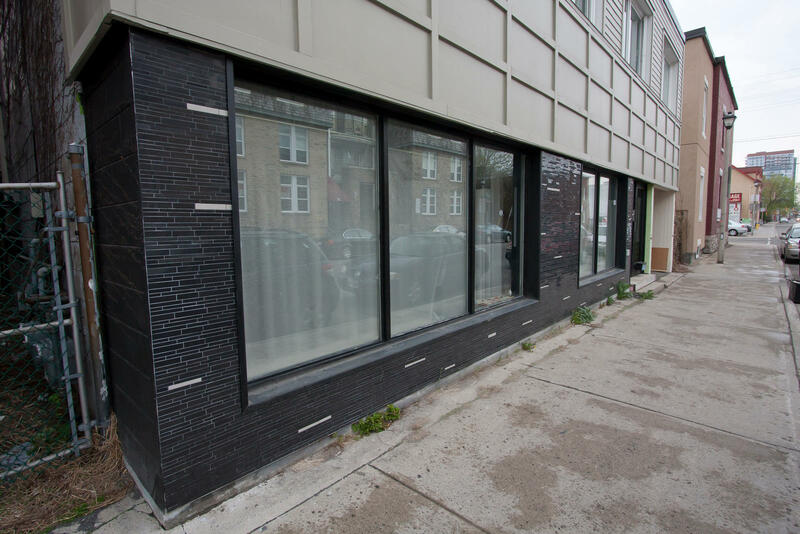 Client Request: To renovate the exterior of the building with a modern and durable finish. 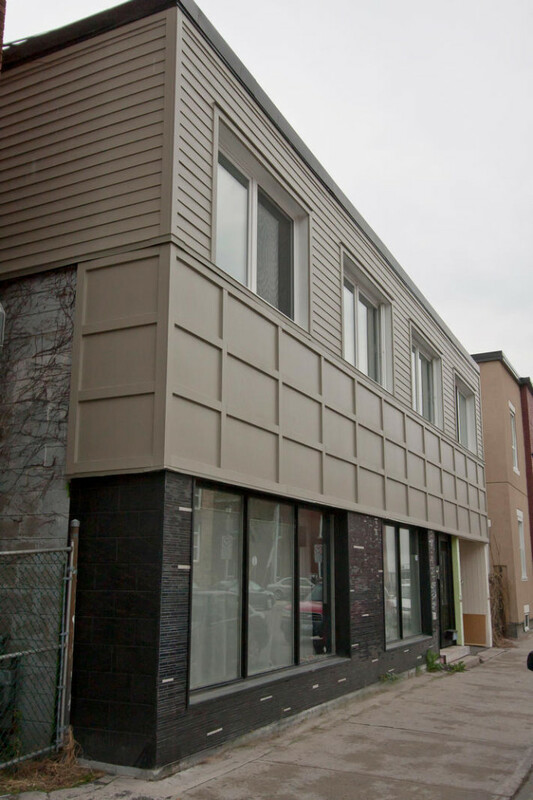 Challenge: To transform the exterior of a residential building from the appearance of its formerly-occupied convenience store. 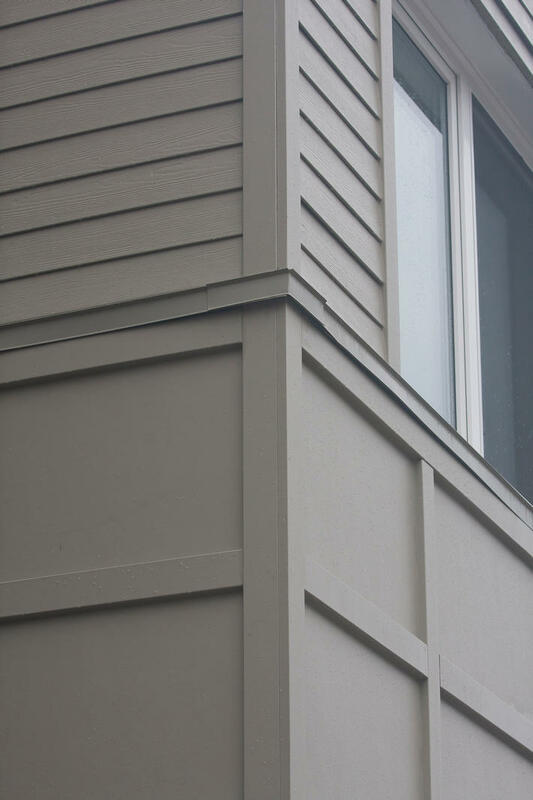 Properly layered building sides: Removed all layers of previous siding and other sub-surface material. Affixed new level plywood, house wrap and new siding. 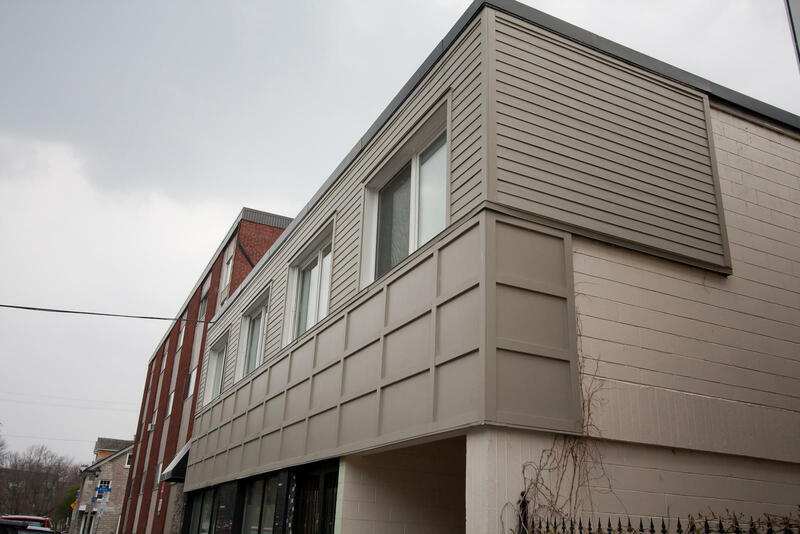 Used long-lasting, durable material: cement-based product, though heavy to work with, it offered an easy way to create an innovative design. 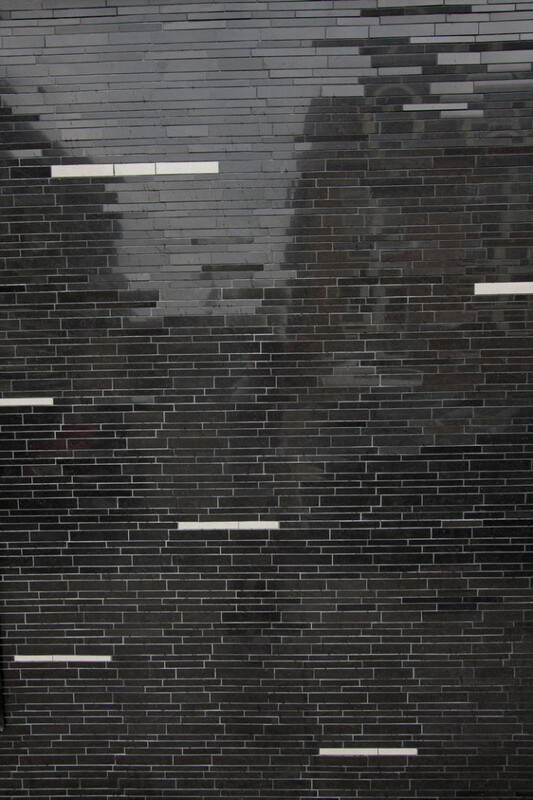 Sleek and modern finish: Tiles selected for main level provided the ‘Wow’ factor for the client. Healthy Steps: All waste was responsibly disposed. Replacing the pre-existing material (punctured with multiple holes from many previous patchwork jobs) offered a more energy efficient solution (less heat loss).